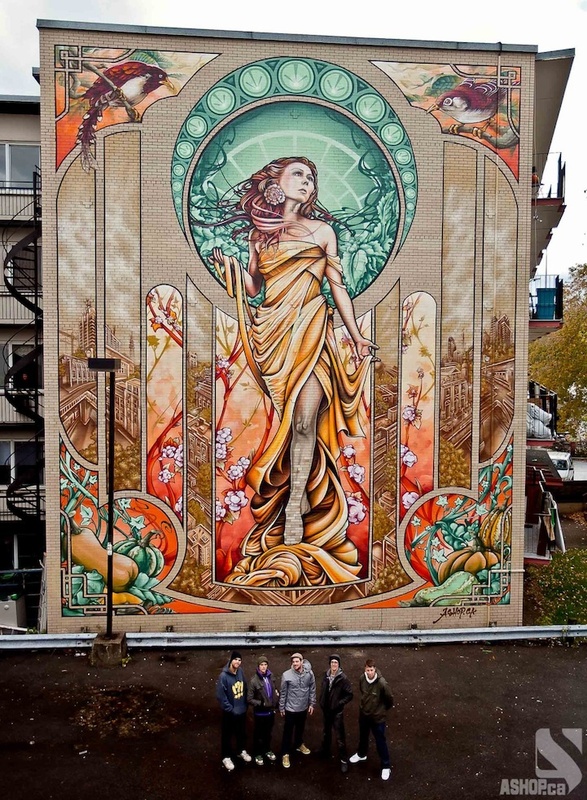 Here’s a mural that made My Modern Met’s top 10 most inspiring projects of 2011. The piece, Our Lady of Grace, is by an artist run collective called A’Shop from Montreal. A beautiful example of how graffiti can embellish a neighbourhood. Here’s a “making of” video as well. For the complete interview with A’Shop, you can visit My Modern Met.